Pots of Luck is a fantastically fun place to game. 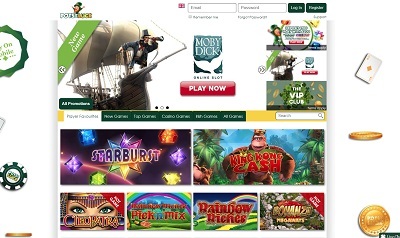 With its exuberant Irish theme running through the heart of it and its lucky Leprechaun mascot named Seamus following you around, Pots of Luck doesn’t take itself too seriously which gives it such an enjoyable edge over other casinos, and with so many games to choose from – including Irish games – it really is a grand, pleasurable place to spend to your time. The support hours are from 8 am to midnight, and you can speak to the lovely Seamus (note: you probably won’t speak to Seamus) on +00 161 870 5948, support@potsofluck.com or on the site’s Live Chat feature. 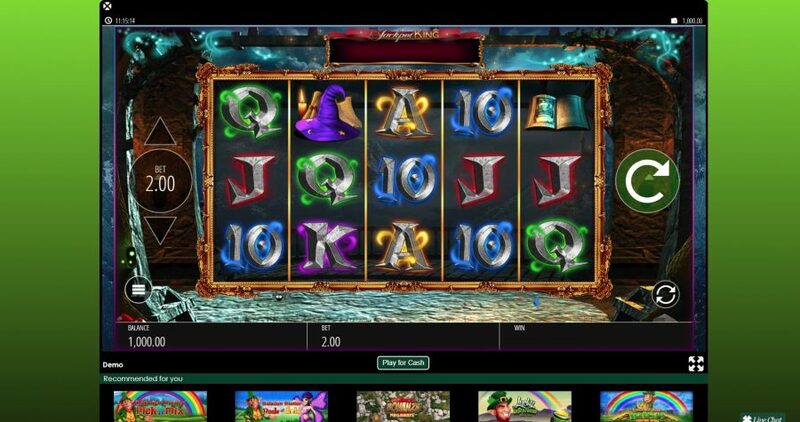 The craic on Pots of Luck is as good as you’d find at any casino across the internet. 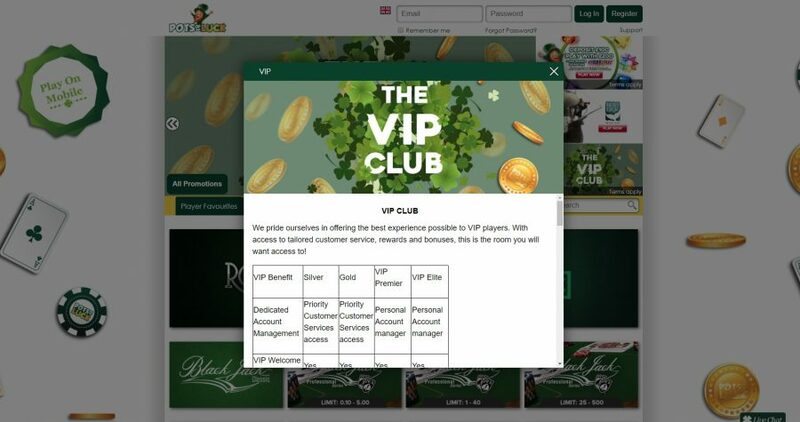 Seamus’ Irish clan advertise their casino as an “exciting place to play mobile casino games”, and therefore there is a real unparalleled importance on mobile experience convenience which you rarely find elsewhere. Of course, this doesn’t mean that your experience on desktop will be diminished. Pots of Luck uses popups for you to play your games in, which makes the navigation between pages and games so simple, effortless and smooth. 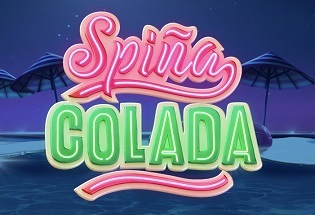 Not only that, if you deposit the maximum on your first three deposits you’ll also receive 100 free spins along with £/€500 of Seamus’s own cash when you’ve spent 30X the deposit and bonus amount in the Irish gaming haven. You also need to keep your eye on the bonuses throughout the week too. 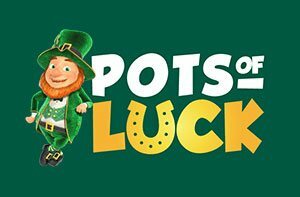 Just like a traditional Irish pub, Pots of Luck offers its own Happy Hour which comes on Tuesdays between 6pm – 9pm where you will get a 100% match on your deposits up to £/€200, plus there’s more with £/€100 deposit matches on weekends, free play spins on Thursdays and even a VIP club that rewards loyalty. To take money out of Seamus’ hands you will need to withdraw at least £/€20 and the usual processing time for the money to clear into your bank account is between 3 and 5 working days, however, if you are using Skrill or Neteller the withdrawal time is instant. The maximum withdrawal amount per day is £/€2,000 and there is a verification period of 72 hours for all requests. 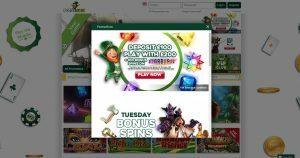 There are over 200 games on the Pots of Luck website that are split into the categories of “Top Games”, “Casino Games” (classics like roulette and blackjack) and of course, “Irish Games”. The developers have also developed a feature that remembers your favourite games which are stored under the tab “Player Favourites”. Pots of Luck is a great place if you’re looking for some real fun. 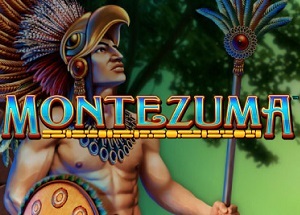 The casino doesn’t take itself too seriously, and along with its numerous host of games, has a really entertaining and enjoyable vibe from Seamus’ own Irish Games, to the more serious and traditional games of Blackjack and Roulette. 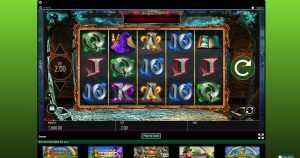 The user experience is fantastic, and it’s clear that the Pots of Luck developers have spent a lot of time and money to create an easy, smooth and natural place for you to spend your time, and the tabbed and popup content means that you’re not waiting for pages or games to load, so you can get on with what you love doing most – gaming. 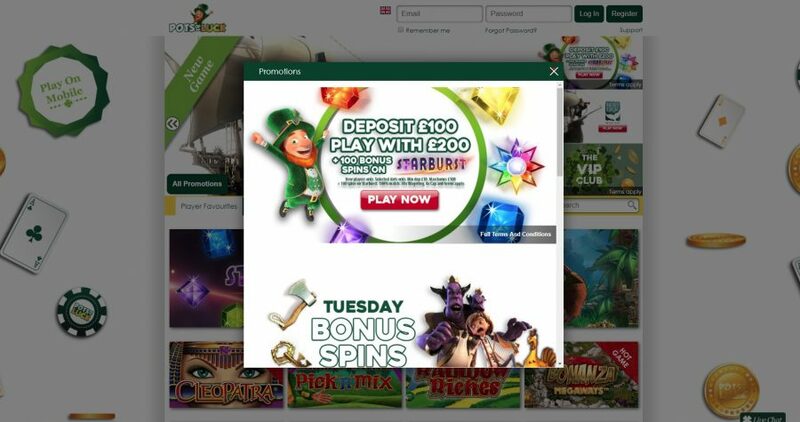 With over £/€500 in bonuses available and frequent bonuses throughout the weak, Seamus’ Leprechaun pockets are almost always open. Unlike so many other casinos, Pots of Luck offers so many opportunities for free games even after the initial start-up bonuses which makes this casino stand out from its counterparts.